End-users ultimately want a stylish yet practical space and as the population ages, it is more important than ever to provide offerings that meet the needs of older users. Driven by demographic change, demand for “multi-generational bathrooms” continues to increase. According to a recent government report Future of an Ageing Population, the UK population is ageing and nearly one in seven people is projected to be aged over 75 by 2040*. Therefore, it is imperative we prepare our homes to cope with the needs of the elderly to ensure we can remain in them for longer. “Suitable housing can significantly improve life in older age, while unsuitable housing can be the source of multiple problems and costs. 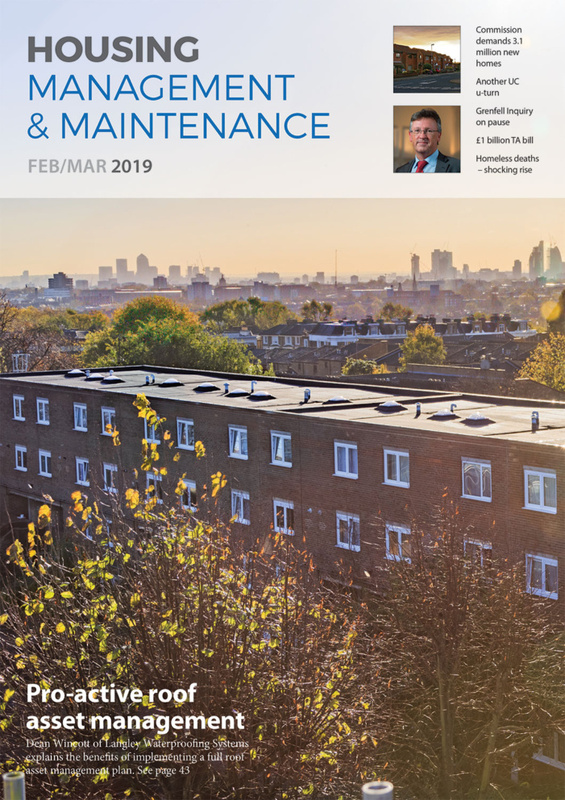 Poor quality housing costs the NHS an estimated £2.5 billion per year. 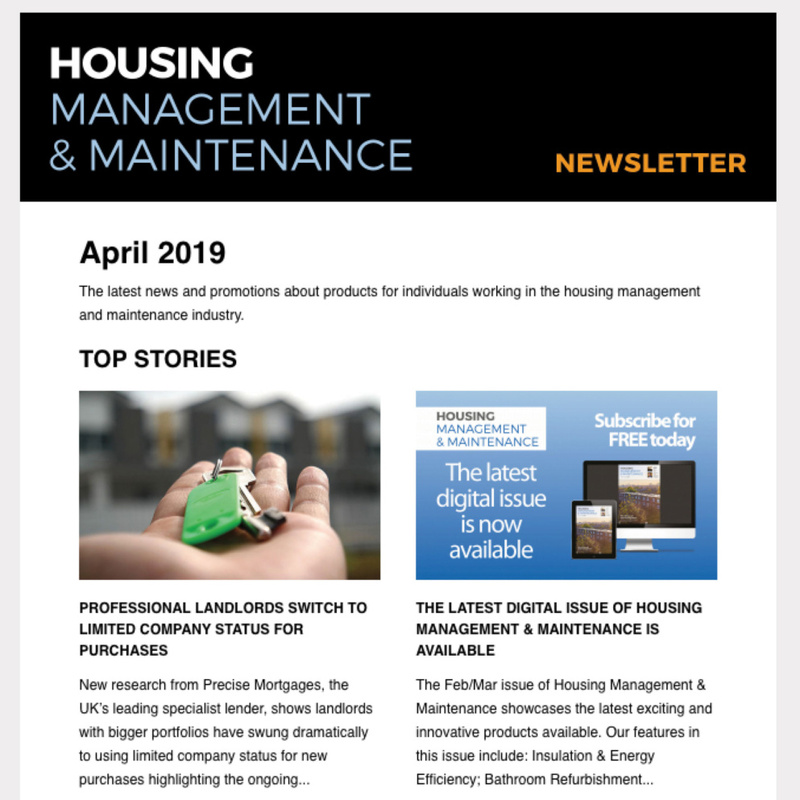 Homes will be increasingly used as places of work and care. Appropriately designed housing, that can adapt to people’s changing needs as they age, has a number of benefits. These benefits include reducing demand on health and care services, and enabling individuals to work more flexibly in later life”. The bathroom is particularly vital to old age, as it is the room where people perhaps most want to be self-sufficient to preserve dignity and save themselves from feelings of embarrassment. At the same time, it is an essential room in the home in order to maintain high self-hygiene levels. 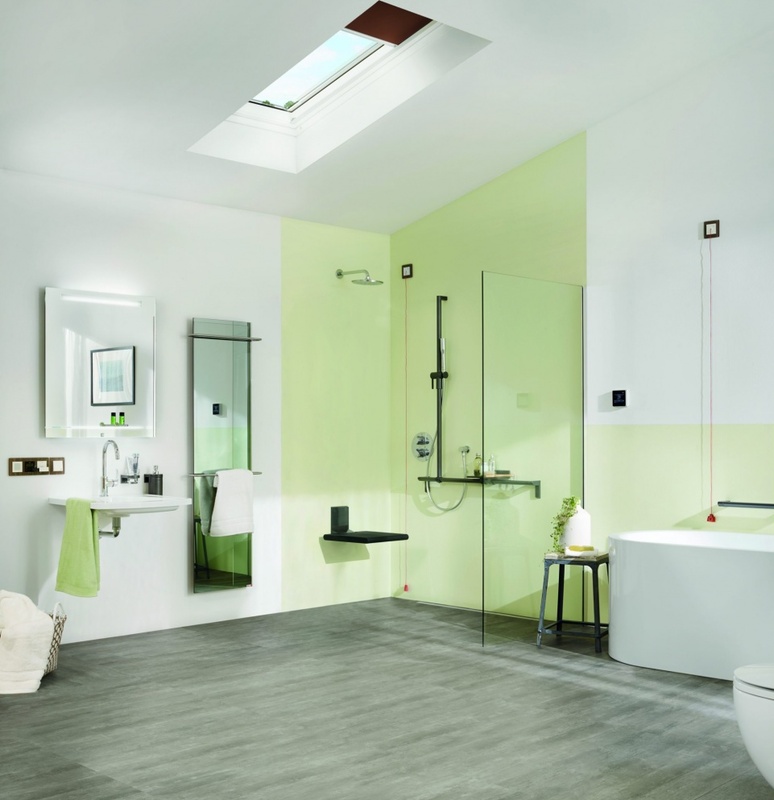 There are a number of ways that bathroom design can be structured to cope with the demands of ageing with the aim of helping people remain in their homes for as long as possible. An important contribution to this objective is delivered by specifically designed and engineered products combining elevated levels of comfort, ergonomics, user safety and longevity. A sensible room layout and a forward-looking choice of decor are equally instrumental in maximising the user friendliness of what remains the most private room of any home. 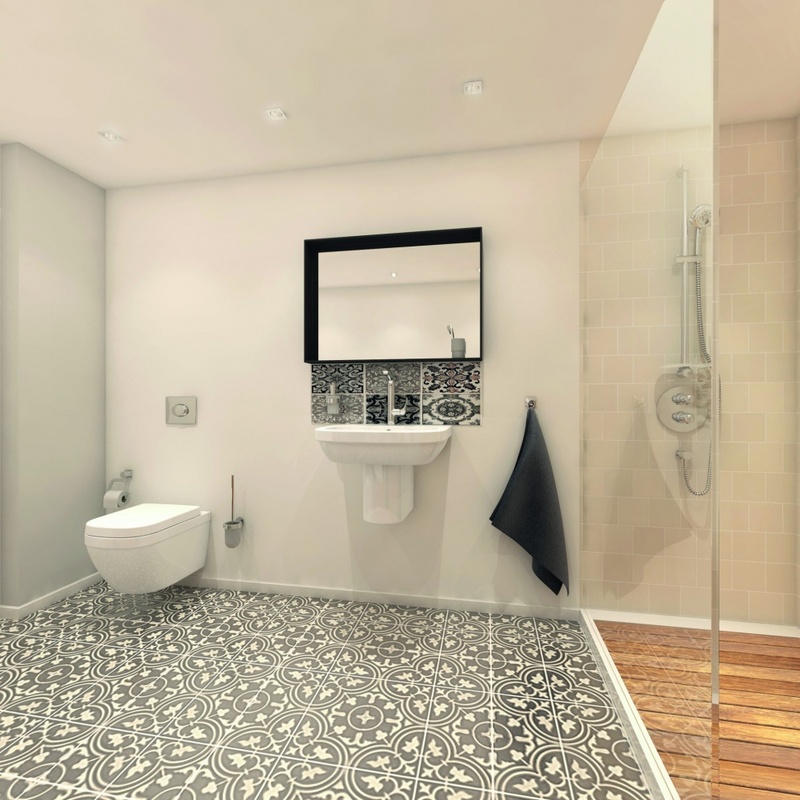 The room layout should avoid narrow access ways, provide sufficient turning space for wheelchairs and walkers, while placing basins and WCs in easily accessible spots- for example, a lower wall hung basin to allow access for wheelchair users. 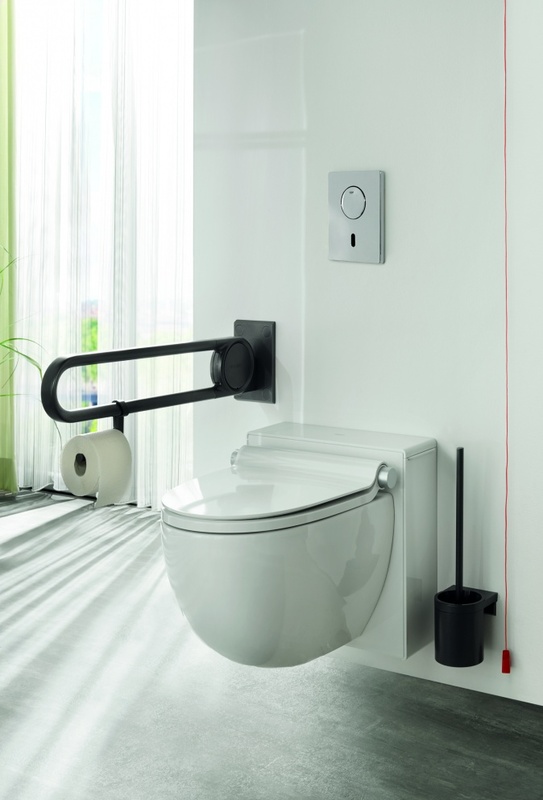 Cleverly placed grab bars in the toilet and shower area, plus a seat in the bath or shower, can help to give people confidence to use the bathroom independently. Products-wise, think about safety features, such as thermostatic shower controls to balance fluctuations in water temperature and pressure, as well as cool to the touch technology to ensure the outer surfaces of the mixers remain a comfortable temperature and never get too hot. This helps to reduce the risk of scalding and, as the technology is hidden within the product, the customer can still enjoy the same stylish looks. Product control is also an important factor to consider. Easy to use and intuitive functionality is imperative, such as smooth operation levers which require minimum effort to turn the water flow on and off. Infra-red touchless taps also provide a great solution, as the water flow simply starts and stops when the sensor detects hand movement. They also often come with a timer which automatically stops the water flow after a desired length of time to reduce wastage. The taps are just entering the residential market, and therefore provide an on-trend solution for the multi-generational bathroom. 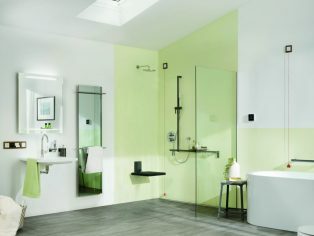 For showers, offerings including push-button control systems which simply start and stop the water by pushing a button, for straightforward use. Many products allow the user to remember their favourite settings, to avoid the process of re-setting the perfect temperature and strength of water flow each time. 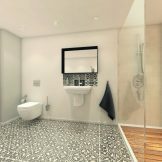 Wet rooms are also a popular feature in the modern bathroom as they are spacious and provide easy access for all users. 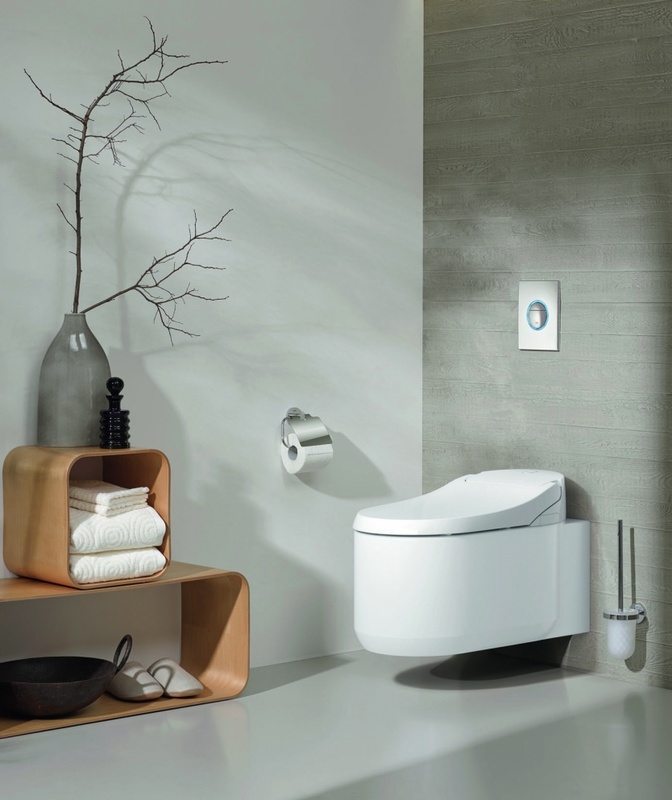 In the WC area, a shower toilet provides a solution for the 4G bathroom with its natural, water-only cleansing process and its wide array of customisable functions. Shower toilets use advanced technologies to minimise maintenance and cleaning, offering a perfect combination of thorough body care, ultimate hygiene and personalised comfort. Once thought of as a niche luxury, shower toilets are becoming an increasingly popular choice in bathrooms.